Internet Marketing has been a big deal for a long time now; it’s definitely mainstream marketing at this point. But Internet Marketing means different things to different people—Social media marketing, banner advertising, pay-per-click ads, email newsletters, email direct marketing, affiliate marketing, electronic press releases, etc. Any and all of these may be an important part of your optimal online marketing mix, depending upon the specifics of your business and resources. However, there is one online marketing method that nearly EVERYONE should be pursuing. Yet even today in 2017, I find that too many technology companies–yes, even technology companies — are not effectively utilizing this marketing method and it’s very surprising to me. I’m referring to Search Engine Optimization (SEO). SEO is the practice of modifying the content and infrastructure of your website, as well as obtaining incoming links to ensure that the Search Engines find it when someone enters a keyword search that is highly relevant to your site. This just doesn’t happen automatically—unfortunately. The biggest problem I find is the lack of understanding of the importance of this marketing method in the executive suite of tech companies – especially when the inhabitants of the executive suite came up through the ranks prior to digital marketing becoming the mainstream method. When the executive suite doesn’t understand or value an activity, it is very easy for resource allocation and ultimately results to be sub-optimal. Even if you aren’t yet a digital marketing expert, most senior executives are familiar with the now old offline world with the use of press releases and magazine advertising as “staples” of marketing. Of the two, Press Releases are the “free” and more credible method of publicizing your products or services. There is no guarantee that a press release or a story derived from it will actually be published, but if it is published, the credibility is very high with the reader—and of course the expense may have been very low to garner this fantastic exposure. Magazine advertising on the other hand is guaranteed to give you exposure, but is much more expensive and somewhat less credible with the reader than PR written on the same topic. I like to use an analogy from offline marketing to explain the importance and relative position that SEO should take in your marketing mix. In the online world, you can think of SEO as the PR of the Internet while Pay-per-Click (PPC) advertising such as Google Adwords is analogous to the magazine advertising that appeared in the old offline media. SEO-driven results appears in the “Organic” listing when doing a search in an engine like Google or Bing and as a result it is considered highly credible. Tremendous amounts of targeted potential customers can be driven to your site via Search Engines Organic results at “no” direct cost. It’s also important to remember that this doesn’t happen in a vacuum, it is a competitive issue as well. I guarantee that your savvy competitors are investing heavily in this area. As long as I’m using analogies, here’s another way of looking at this topic: Would you spend huge amounts of money to build a beautiful retail store, then put it out in the middle of a cornfield, 50 miles from the nearest consumer – and not even listed on a map? I hope that any business person reading this would answer “No”. Even if you advertised heavily to drive traffic to this store, generally it would make little sense. Yet, even today I still find many senior executives in High Tech companies are oblivious, or at least don’t sufficiently understand the strategic importance of having a website highly optimized for Search—which is the Internet equivalent to “Location, Location, Location” in the retail business world. Many executives however will spend a lot of time and money on creating websites which are built by Graphics Designers who put great effort into the “look and feel” and “branding” of the site (the beautiful retail store)—and literally NO effort into enabling someone to find the site through search engines (building it in a cornfield). In fact, excessive website “design” can significantly slow the loading of a website – which negatively affects the site’s SEO. In search engine land, the key is to appear among the first six sites (“above the fold”) on the first page in the results of a search. This can lead to enormous increases in traffic to your site for certain keywords. For searches containing the important keywords specific to your business, getting your site to appear in the top six sites of the results should be your goal. If you are able to accomplish this the visibility among your target customer will increase substantially—possibly exponentially. If your competitors are and you are not–you lose. I don’t want to pretend that maximizing your results is easy. But at least the initial steps that you should take are not that hard. I believe that this important topic doesn’t get the play it should in executive suites because of a “fear factor.” SEO in many circles is viewed as a highly technical field, understandable only to “geeks.” A lot of times, people just don’t know where to start. But once you delve into it, most of the steps are pretty straightforward. So what are the specifics on how should you go about enhancing SEO on your website? Do it internally, hire outside experts, etc? Just like most other things in technology marketing, it depends upon the skills within your company, the competitiveness of your marketplace, and the company’s financial resources. To return to our examples from the offline marketing world, remember that how companies conduct their press relations varies widely. Companies with large financial resources, as well as those in fast-moving & competitive markets often hire external PR firms to spearhead their campaigns, with retainers of $10-15K/month or more. For these companies, having outside experts focus on this important activity is viewed as critical and isn’t given a second thought at budget time. Other companies feel more comfortable hiring an in-house PR person, both from a productivity and budget perspective. And smaller companies can’t hire PR expertise at all—but they know they need press coverage, so they still find a way to write press releases and promote them on their own to the important editors in their vertical market. Because they realize that it’s IMPORTANT. Your methodology for attacking SEO should be considered exactly the same way. If you are in a highly competitive market and are flush with money, it may make sense to hire one of the hundreds of agencies focused specifically on search engine marketing to optimize your site. Or you may have a webmaster or marketer in-house that has the skills and interest to take on the task. But even if you have no in-house expertise and can’t afford to hire anyone—by all means, do it yourself. Buy an SEO book or one of the modestly priced SEO analytics software packages available to walk you through it. Do it because it’s IMPORTANT. The one thing I DON’T recommend is to just “throw money at it” and walk away. SEO is an on-going, critical activity that needs to be managed for the long haul. It is important that someone at a senior level in-house gain enough knowledge about what is important to be able to monitor it from a management perspective. Otherwise, you risk really going off the rails, regardless how you decide to handle the implementation. In particular, there is a tendency to simply “outsource” activities that management doesn’t understand or isn’t comfortable with. The problem is that there are a number of “quick fix” artists in digital marketing (especially the SEO-focused agencies), who claim to bring you a lot of traffic fast. They use questionable practices (known as “Black Hat”) that can get you in serious trouble with the Search Engines which in the long run have the opposite effect from what you are seeking. If you don’t have a senior manager that understands the implications of what’s being done to your website, you can get burned badly. So let’s say that you’re a CEO or other CXO and you’ve decided to “do it yourself”, or at least have decided you need to get a basic understanding of the SEO process. Where do you start? Select keywords to optimize you site for — ones that are important to your potential clients and your business. Look at your own website and other marketing materials, look at your competitor’s sites and use tools like the Google Adwords Keyword tools. This is a critical part of the process—you need to select keywords that are both relevant to your business and not so competitive that you are still able to “own them”—in other words, appear in the top 6 listings when they are searched. Make sure that your Page titles and Page URLs are rich with the selected keywords. This is very important, and is why new websites should be optimized for search when they are initially built (which usually doesn’t’ happen, unfortunately). Include keyword-rich “anchor link text” in your content (although don’t overdue this), and make sure to label all images with keyword-rich text. Make your main body text keyword rich—and probably more text intensive than your graphics designers would like. Even though the designers (and senior executives) may think its ugly, search engines love—and only understand (image search notwithstanding)—text. Some engines will even completely ignore pages with less than 300 words. If your pages appear too “clean and pretty”, there’s a good chance they will be ignored by the search engine bots when they do their indexing, because the search engine is trying to present the most “informative” page and yours is perceived as lacking information. So you need to make some compromises between SEO and look and feel. Start a “never-ending” campaign to get external websites to create links into your site. This is also critical, because search engines use this is a measure of how “important” your site is relative to your competitors. The more relevant and popular the linking site is, the better. Social Media is a great place these days to place articles, drive traffic and get relevant links. But make sure you don’t use “Black Hat” methods here (such as buying links) as these can get you completely banned in the search results. 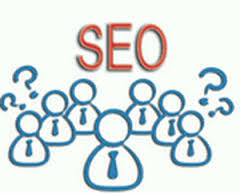 SEO is actually a very complex field with lots of important but mundane technical details. Much more must be done past the basic process I’ve outlined above to optimize your site. But these are the basics, a good starting point—if you run through this process as a senior manager you will be much better prepared to buy external SEO implementation or advisory services or hire experts for your internal staff. As a C-level manager you wouldn’t feel comfortable being ignorant as to how the PR process works, would you? In the Internet age neither can a Software or Hardware CEO or other CxO afford to be ignorant about SEO! Leave a comment with your own thoughts or best practices. Thanks for the comprehensive overview, and from more of a business angle than technical. As co-chair of the education committee of SEMPO, I like to see ongoing discussion to help business managers understand SEO and other search marketing activities. I agree that it’s critical for business, and the really cool pay-offs go way beyond just traffic and sales. Once you start having a relationship with your keywords, you see that it’s the literal language and semantics of your customers – which helps you understand how to talk to them better, and also provides free market research in an ongoing fashion for you to make business decisions. BTW, our organization is the largest trade group for search marketers, serving 40 countries around the world. Our membership fees provide public education and events, and we have a free archive of webinars and tutorials on our site that is open to anyone. Your readers are invited to learn more about this fascinating marketing practice. Location is http://sempo.org/webinars (registration required, no fees or spam). good article and to the point!